This tutorial requires a bit of assembly basics, it’s at least important to know the meaning of the PEEK and POKE commands in Basic and how the ASM calls work in AGD. It’s suggested to read and understand the tutorials about the ASM calls and Store ASM into AGD character set before continuing here. – the game ends in victory (completed game event). In the first case, the reset is ok. Instead, in case of victory, there could be the need to retrieve some variables if the game has to continue (e.g. residual lives and score). Since AGD doesn’t consider this recovery, it’s possible to “hang” some variables into memory locations and do the magic. It reads a single byte (0 to 255) declared by the next ASM, storing the value into the accumulator. It means “PEEK” (read) the byte stored into a memory address declared by the next couple of ASM commands (because a memory address is greater than 255), storing the byte into the accumulator. It means “POKE” (write) into the memory address declared by the next couple of ASM commands, a byte previously stored into the accumulator (e.g. through an ASM 62 or ASM 58 command). The LIVES variable is usually managed in the game initialisation and kill player events. The residual value has to be handled just in case of victory, so the events involved will be the game initialisation and the completed game. – as long as the game continues, the LIVES value (and the byte stored in high memory) will be greater than zero. Next step, in the game initialisation event, we need to detect if the play comes from a previous victory, holding the recovered LIVES value; otherwise, the lives have to be resetted. As said, the SCORE variable stores a sequence of six ascii characters, without handling a real number format. 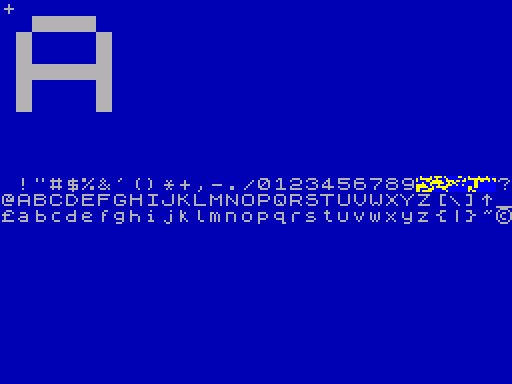 The six bytes are stored from 34495 to 34500 and each one represents the ascii value for a character number. The number 48 is the ascii correspondence for the “0” character (find all the ascii values in the Basic Programming manual, Appendix A). If we need to continue a play after a victory the score has to skip the reset by AGD; let’s explain how. – restore them again into the SCORE addresses skipping the default reset at the game start. AGD doesn’t allow to reset the score through a specific instruction. Having implemented the above “score recovery” special routine, it’s also needed to reset the values if the game ends. If we’re ok using the AGD character-set to store the score routines, download the binary file directly from here, then just inject the bin file into the AGD character-set. Now all we have to do is to call the routines from the events, as explained.